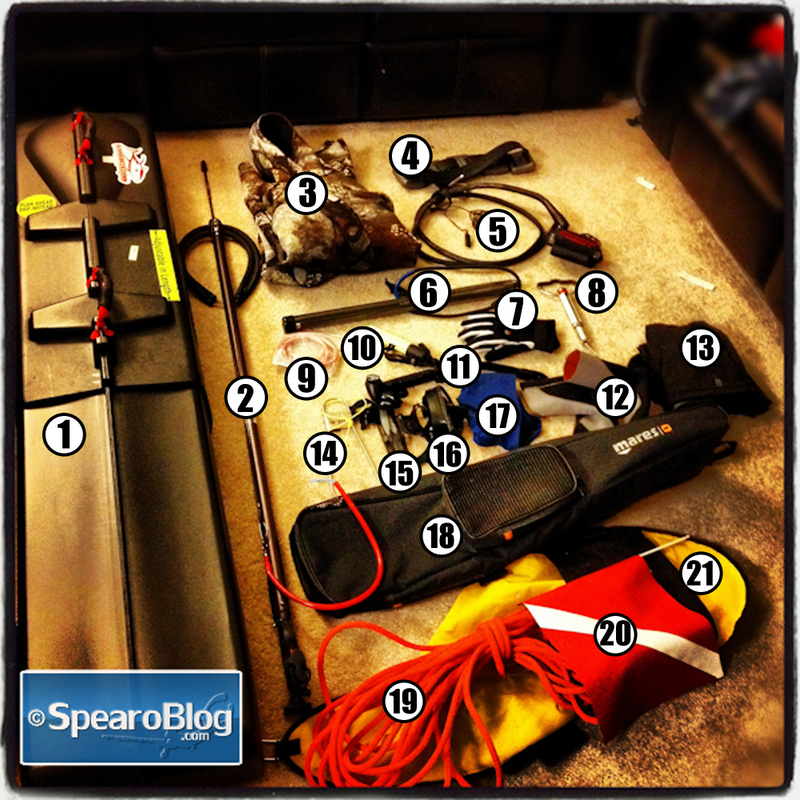 The following is a list of Spearfishing Gear includes gear I use or have used in my spearfishing journey. Most of these are Affilate links. That means I get a small percentage of the sale if you buy anything I’ve listed. It’s a cool way to support SpearoBlog and it doesn’t cost you anything extra. Thanks for your support. These are all the basic spearfishing gear you need as a beginner. I’ve use a lot of other spearfishing gear but I’ve only included what I consider good quality gear. The only Dive Mask I’ve used. I love it. I’ve tried many others but this one fits my face and I’ve never had problems with it leaking. I have 2 new ones just in case I lose this one. I’ve had this dive mask since day one back in 2011. I use the all black one. First snorkel I ever had. I still use it today. I usually spit out the mouth piece when I dive and with the flexible part it falls out of the way. It does have a valve to purge water in the snorkel and some people would say this is bad because it wares out but mine has worked since 2011 and shows no signs of quitting. This suit is stretchy and fits perfect in all the right places. It has a cool layer of soft material right next to your ears to keep the hood from creating suction. Great suit. I recently bought the 7mm version too. Made of the same supple stretchy neoprene as the top. This bottom is very comfortable and the fit is great. I went through 3 pairs of dive gloves before ordering a pair of these. These gloves lasted for a good two and a half seasons before I wore holes in the thumbs. That’s two seasons of lobster diving which is brutal on gloves. I still use the pair with the holes for bluewater. I have a new pair ready for the cold kelp forest when the White Seabass come to town. 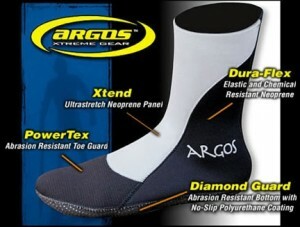 These dive socks give me a perfect fit in my fin foot pockets. Rubber weight belts can stretch and this is useful for keeping them in place. Nylon weight belts stay the same size so on your way down as your suit compresses the nylon belt will be too big and may slide up to your arm pits. Also the weight might shift and clank then scare your fish. Weight can be expensive so I recommend looking for it locally on CraigsList and saving on the shipping cost. If you want to buy it online use the link. When I did mostly shore dives I used to keep all my gear in a plastic tub in my trunk. Once I started getting boat invites the tub was not a welcomed sight. I bought the older version of this bag and since it’s for SCUBA there is plenty of room for all my gear, dry bag, and lunch bag. It helps keep the boat organized and it is easy to get in and out of. A must when you start going on boat trips. Find the map for your area and learn your fish and size/bag limits before you go shooting anything. I added this section because one of our readers wanted a parts list to the photo I used in our Spearfishing and Travel post. Some of the spearfishing gear in the photo is no longer available so I put in comparable items. The only way to travel with spearfishing gear. 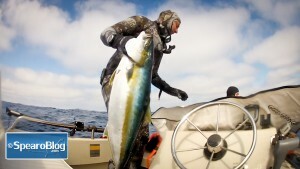 See our post on Spearfishing and Travel for a tip that could save you some money when checking in. I find that a 120cm speargun is a good all around gun. good power and range. The one in the photo was my old Aimrite butnow I use a Diablo Spearguns 121cm. This link goes to the spearguns section over at SpearDeals. They have a great selection of guns and will treat you right. This what I use to do the SpearoNation LiveTrack page where you can track my actual offshore trips live. In addition to Spearfishing Gear you also need knowledge! Check out these books. If they are on this list it is because I learned a lot from them and I think they are worth investing in. As a beginner they give you a great overview. As an experienced diver I find a new little nugget of information that I didn’t grasp before I had enough experience to catch the subtleties. I have them on my bookshelf and re-read them at least once a season.